While we were in England, my aunty told my parents all about her gluten free diet. Dad, who had always scorned the idea of being gluten free, came to realise that being gluten free may have some, er, benefits. All this means for me is I have to make gluten free pizza bread and gluten free bread. My sister also became a vegetarian, and so I have to make really irritating little changes to cooking…. But sometimes I like trying to make yummy gluten free food. And it’s yummy when everyone in our family, not just the gluten free people, like to eat it. Like this banana bread. It is light and fluffy and perfect warm with butter. I adapted the recipe from a cute little old fashioned style recipe book I bought in England. about 1/2 – 1 cup sultanas, raisins, or currants. Set oven to 18o degrees Celsius, 350 Fahrenheit, or gas mark 4. Grease and line a 2 lb loaf tin (or a couple of small loaf tins). Cream the butter and sugar together in a bowl until light and fluffy. Add the eggs. Mix the baking soda with the milk. Mash the bananas, and add them to the mixture with the flour xanthan gum and milk and mix well. Stir in the vanilla essence, and the sultanas. Put into the tins and bake for 40 – 45 minutes, until firm and skewer comes out clean. I had to put some foil over the top of the loaves halfway through, so they didn’t burn on top. We mix up our own very basic GF flour mix at the moment, and it is still being adjusted. We got the basis of it from this book. Put it in a big jar and mix it together thoroughly. 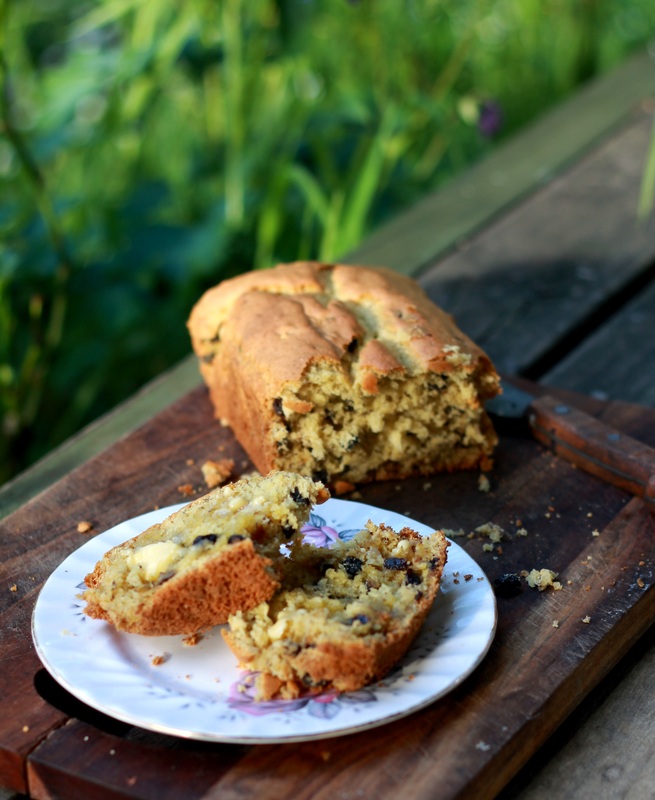 I also have a recipe for Sugar and Dairy Free Banana Bread. 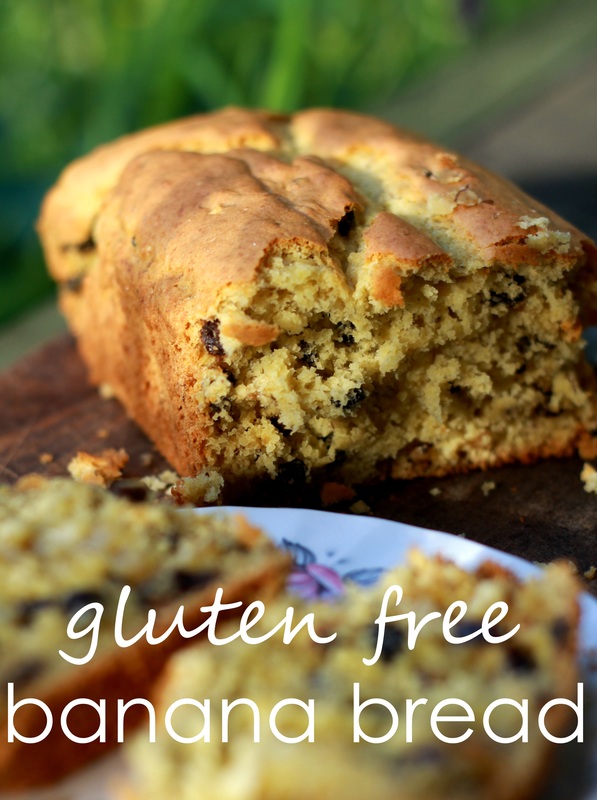 I think you could easily make that gluten free, by substituting the flour. 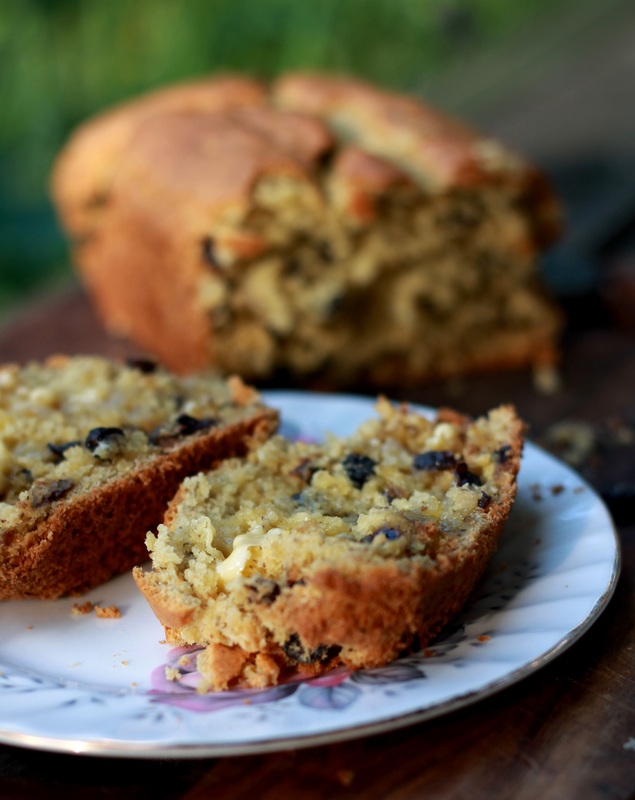 Banana Bread is very adaptable.